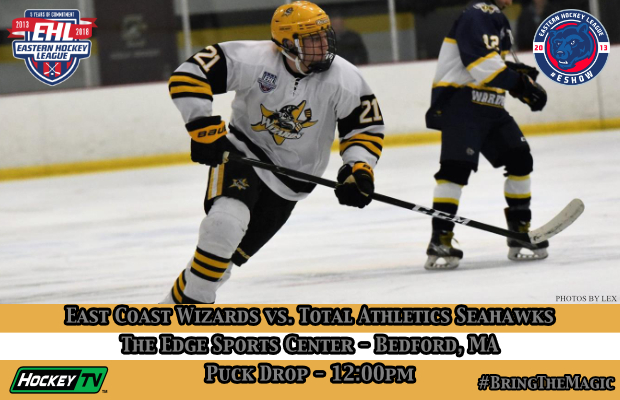 BEDFORD, MA -- After the win over the Vally Jr. Warriors earlier this week, the Wizards will get back to work this afternoon against the Total Athletics Seahawks. The Wizards currently find themselves in 3rd place in the Boston Division, 11 points ahead of the Seahawks. The Seahawks are coming into today’s matchup having lost 5 of their last 6 games and are fresh of a 6-2 loss to the Boston Jr. Rangers yesterday afternoon. They currently sit in 4th place in the Boston Division with a record of 8-15-3. 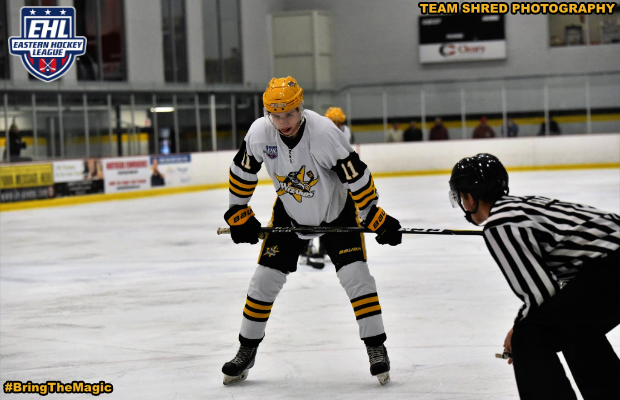 The game is scheduled for a 12:00pm puck drop at The Edge Sports Center and this marks the 5th time the two teams will play each other this season. The Wizards are a perfect 4-0-0 against their division rival, beating them by a combined score of 14-2 so far this season. Korbinian Lutz has matched up well against the Seahawks this season, racking up 3 shutouts in the previous 4 games.